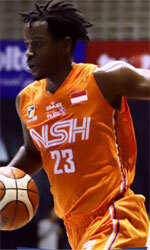 CLS Knights Surabaya () inked naturalized American small forward Brandon Jawato (193-98kg, college: Hawaii). He joins another USA player Stephen Hurt which is already in the roster. He graduated from University of Hawaii in 2015 and it will be his fourth season in pro basketball.